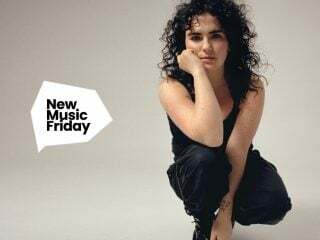 Clean Bandit's Baby is out today — the Disconnect hitmakers are joined on the song by Disconnect hitmaker Marina as well as Luis Fonsi, and the image above really does seem to portray some sort of super­group. As in, the sort of five-piece you wouldn't mind watching an entire concert by. At some point a couple of years ago Clean Bandit sort of became the UK's most inter­est­ing new pop band, a fact that seems to amuse the band's members as much as it confuses the rest of us, and Baby feels like their first major event record. This is largely down to the video, which you could at a push describe as a very 2018 reima­gin­ing of Steps' Tragedy video. In the sense that it has a wedding in it, anyway. 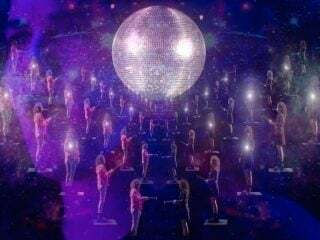 That's pretty much it to be honest, but the result is a little bit funny and quite a bit moving, and sometimes that's what you want from pop isn't it?